This entry was posted in Bible, Quotable on May 31, 2013 by Dave. DO YOU HAVE A HAREM?! Greg does not have a harem! Love this. This entry was posted in Humor on May 31, 2013 by Dave. 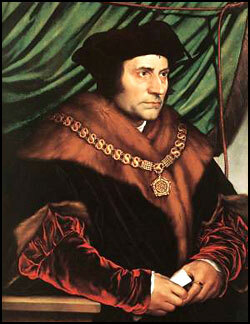 Thomas More wore a “hair shirt” underneath his fancy garb. The discomfort of the shirt reminded him to not be enamored with all the fancy trappings of man. Though Christ fully atoned for our sins and we hardly need a “hair shirt,” there are warnings in Scripture to not be enamored with the various ways the world seduces us. Two passages in this regard which have meant a lot to me over the years are Isa. 2 and Prov. 23:1-3. You may not have anything approximating a “hair shirt,” but what truths in Scripture help you keep your eyes on Christ and not the enticements of the world? This entry was posted in Ambition, Spiritual Life, Suffering on May 29, 2013 by Dave. I am dismayed to see everyone glowing about the video on Denny’s comment thread. If we believe our wives suffer needlessly because of their unwillingness to extract the “nails,” we miss the point that many of their concerns are legitimate and perhaps not so simple to solve. This entry was posted in Relationships on May 28, 2013 by Dave. During my radio interview with historian, Martin Marty, I shared something with him which he found helpful. We were not talking about historical matters, but grief. I was interviewing Professor Marty on a book he wrote about his first wife’s death from cancer. After the interview, I realized my reflections also related to learning. The three diagrams below represent various ways we may conceive of the learning process. The circle emphasizes that “repetition is the key to learning” because we are always coming back to things we thought we learned. The problem is that there is no movement forward. True learning means that we are growing in our knowledge. A circle depicts the repetitious nature of learning okay, but not the dynamic of progress. The second graph shows an arrow moving forward. It reflects progression which is good, but it fails to depict that learning involves reviewing former things we’ve learned or going back to earlier lessons and seeing fresh insight there. Progression simply in a linear direction is not a good example of how the best learning takes place. The illustration I shared with Professor Marty is the one which best depicts learning: the spiral staircase. It includes the best contributions of the circle and the line. Like the circle it reminds us that true learning means coming back to things we’ve previously learned and like the line it reminds us that we should be making progress. This entry was posted in Learning/Education on May 26, 2013 by Dave. Consider someone I will call “Tom.” Tom is a guy I know. He is a nice guy who dutifully has attended church for many years. I’m afraid to report that all Tom’s church attendance still leaves him with a pretty thin understanding of the Christian faith. He is surrounded by opportunities to grow in his understanding of the Christian faith (as are all of us Americans), but they don’t capture his imagination. Tom complains that he is too busy with work plus he says he has adult Attention Deficit Disorder (commonly called ADD). So what do you think Tom does when the opportunity presents itself to take an intensive course in his field? To take the course he must spend thousands of dollars, live away from home for several weeks, and take several months to digest a thick binder of technical information before he heads off to New York City. He jumps at the chance with gusto and clearly has a focused determination to push himself intellectually. Tom unabashedly tells several of us that the course will give him an edge which will most likely increase his already considerable salary. Down the ages everyone has always been tempted to wander from God. Some are more honest than others like Augustine who confessed to finding Cicero’s writings more compelling than Scripture. There is nothing new under the sun. Believing that we have such unusual temptations to keep us from learning is a dodge each one of us must be honest about. J.I. Packer, A Quest for Godliness: The Puritan Vision of the Christian Life (Wheaton, IL: Crossway Books, 1990), 70. 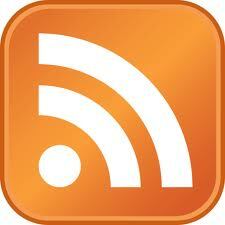 This entry was posted in Learning/Education, Spiritual Life on May 24, 2013 by Dave. Don’t kid yourself. There really are two choices in life. This entry was posted in Spiritual Life on May 23, 2013 by Dave. It is always wise to steer clear of speculation and stick with the parameters God has set for our understanding via His revelation. He does not tell us everything, a point sadly missed by too many (see Deut. 29:29; Isa. 55:8,9; I Cor. 13:12). This entry was posted in Bible, Suffering on May 22, 2013 by Dave. InterVarsity Press is one publisher who is sensitive to this important, and little talked about ministry. Billy Graham recently said the church prepared him to die, but did not prepare him well for aging. Three new books by IVP can help us wisely address the unique challenges of aging. I have carefully read the first two, but only perused the third. This entry was posted in Aging on May 21, 2013 by Dave. This entry was posted in Doubt, Poetry on May 21, 2013 by Dave.